Windward Community College alumni visited their alma mater to participate in the Ko‘olaupoko Tour and Lunch on Saturday, July 9, 2016. This event highlighted Hawaiian and Pacific Island Studies, Hi‘ilaniwai Food Service, Hawai‘i Ocean Education Academy programs and the recently recognized Blue Zone Project Approved Restaurant, ‘Uala Leaf Café. Ian Masterson, Windward CC Workforce Development coordinator and alumnus began the event with an oli (chant) and served as the mo‘olelo (storytelling) tour guide. Chancellor Doug Dykstra and Michael Moser, director of the Career and Community Education Program were on hand to deliver welcoming remarks and to engage with alumni. 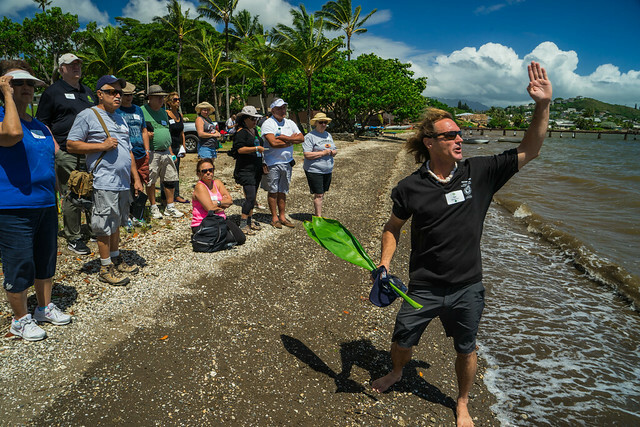 The tour began on campus at the Great Lawn and then guests were transported to the H-3 lookout, Naone A La‘a (Sacred Sands) and Kealohi Point. Masterson exhibited masterful story-telling skills by telling compelling legendary stories at each location and sharing his vast knowledge of the wahi pana (sacred places), mythology and ahupua‘a (ancient Hawaiian system of land division) of the Ko‘olaupoko landscape. The event ended with a delightful Hawaiian lunch prepared by the ‘Uala Leaf Café culinary team and a brief presentation to recap the tour. 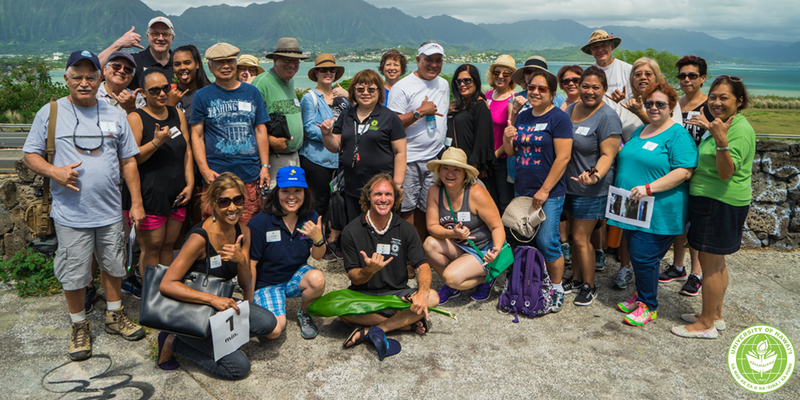 The alumni participants were thrilled to be a part of such an event that perpetuates the Hawaiian culture and traditions and reminds us that our beautiful ‘āina is so much more than just breathtaking scenery. Masterson closed the event by genuinely conveying our ‘āina transcends into experiencing nature, to value our rich culture and knowledge and to feel it in our na‘au (gut).